Awesome breakfast!!!! The staff are lovely. Comfy bed. Friendly staff from reception to breakfast dancing ladies. Clean rooms, quiet area , though central. Simple and good value for money. The beds were comfortable, close to Charing Cross station and restaurants and only a 20 minute walk into the centre of town. The triple room was small but perfectly adequate. It was modern, clean, warm and had everything we needed. The position is excellent and only minutes from a wide range of pubs, shops and restaurants. It is also on bus routes including the sight-seeing tour bus. The breakfast was very good, offering a cooked and continental breakfast and the staff were very friendly. Good breakfast, friendly staff, quiet and reasonable location. The mattress was really bad but they got a new for us! Really appreciate for it! Great service! 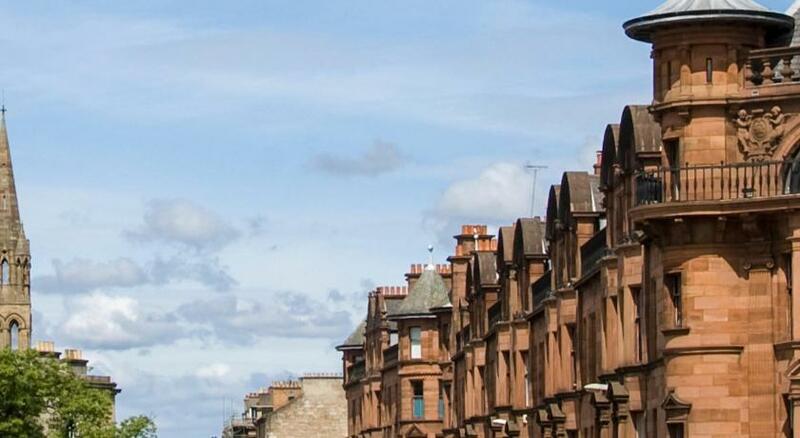 Situated in the heart of Glasgow, just metres from the city’s Charing Cross railway station, this guest house offers a range of affordable accommodation with a full cooked Scottish breakfast included in the price. Free WIFI is available throughout, and there is a 24 hour reception with luggage storage and tour desk available. 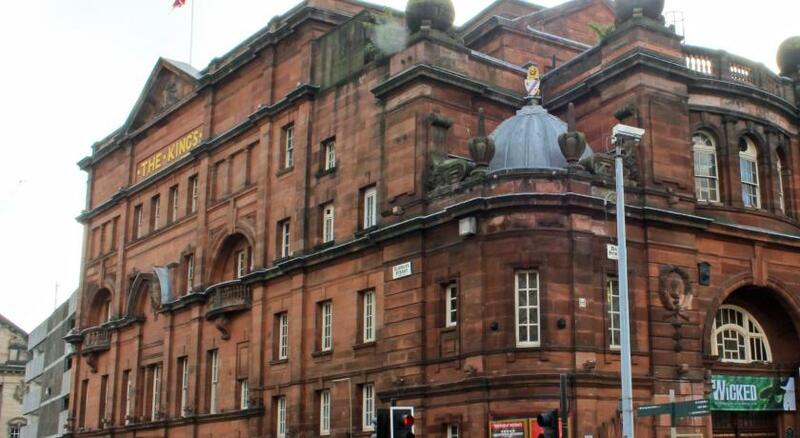 Close to the very heart of the city centre, the Charing Cross Guest House has a great location for visiting Glasgow. Buchanan Galleries is a 15 minute walk away, while Gallery of Modern Art is a 20 minute walk from the property. Both the SECC and SSE Hydro are just 20 minutes away for a great selection of live music and comedy. Glasgow Airport is 9.2 miles away. 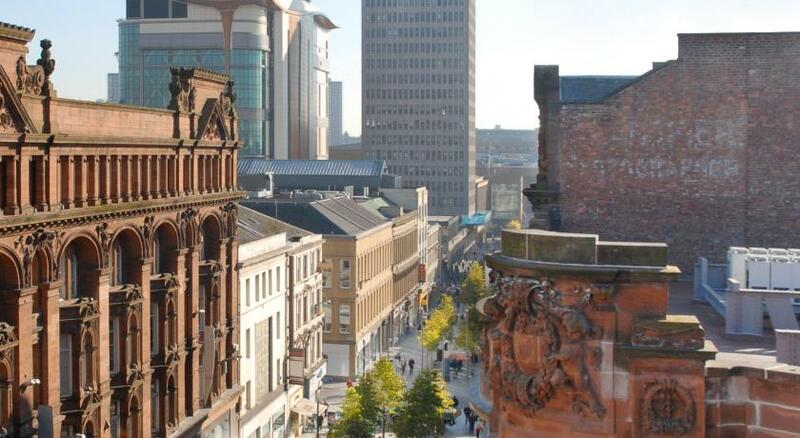 All that Glasgow has to offer is within easy reach, including shops, attractions and nightlife. Charing Cross Guest House has been welcoming Booking.com guests since 26 Oct 2009. When would you like to stay at Charing Cross Guest House? Public parking is possible at a location nearby (reservation is not possible) and costs GBP 6 per day. We are Situated in the heart of Glasgow offering budget rates within a premier location. All the rooms are equipped with tea and coffee making facilities, flat-screen LCD TVs with free-view & radio channels, hairdryers and complimentary toiletries. Our recent ongoing refurbishment program has ensured our rooms are tastefully furnished with en-suite facilities. Close to the very heart of the city centre, the Charing Cross Guest House has a great location for visiting Glasgow. Junction 18 of the M8 motorway is just meters away, offering easy access to all of the region's major roads. Glasgow's Charing Cross railway station is within easy walking distance. We are also close to Glasgow SECC, SSE Hydro, Glasgow Royal Concert Hall, Glasgow School of Art and many more local tourist attractions / venues. All that Glasgow has to offer is within easy reach, including shops, attractions and night-life. A range of accommodation is available to suit the needs and budget of any traveler, including rooms with shared bathroom and large Family rooms including En Suite toilet facilities. Free Wi-Fi is available throughout the hotel and also an generous full cooked Scottish breakfast. House rules Charing Cross Guest House takes special requests - add in the next step! A damage deposit of GBP50 is required upon arrival. This deposit is fully refundable 7 days after check-out as long as there has been no damage to the property. Bankcard Charing Cross Guest House accepts these cards and reserves the right to temporarily hold an amount prior to arrival. Charing Cross Guest House accepts these cards and reserves the right to temporarily hold an amount prior to arrival. Please note that a deposit of GBP 50 is pre-authorised on arrival. This will be returned at check-out, subject to a damage inspection and incidentals. Please note that the property operate a strict non smoking policy. If a guest is found violating this rule, a fine of GBP 250 will be applied. Please inform Charing Cross Guest House in advance of your expected arrival time. You can use the Special Requests box when booking, or contact the property directly with the contact details provided in your confirmation. A damage deposit of GBP 50 is required on arrival. This will be collected by credit card. You should be reimbursed within 7 days of check-out. Your deposit will be refunded in full via credit card, subject to an inspection of the property. Compact not much space for a superior room. Room smelled of cigarette smoke. Location and price are a bonus. 1 toilet was really noisy and woke me up a few.times when.people flushed.it. Could easily hear people walking around. The shower was either scalding hot or freezing cold. Other guests were so noisy. Sounded like elephants. The room was tiny. Lights didn't work. No soya milk even though I requested it. No entrance key so you ring a bell and have to wait. Loads of stairs. The staff were abrupt. Its not in a good location. The pillows on the bed were dirty. You are not allowed takeaway food in your room! On checkout the woman at the desk just grunted at me. Not even a goodbye, thank you. Disgraceful. The shower was broken, the kettle was dirty and guests were very noisy, waking us in the night. Over the closet of the room wasn’t clean. The location, the house, the breakfast delicious. The bathroom in our bedroom was like a closet. Could barely use the toilet as the wall was so close to the front of it. The room layout meant that there wasn’t next to no space upon entering the room and having to shimmy round the bed to get to the windows where there was a little more space. The room didn’t look like what was advertised. It was quite small with one window so not much natural light but it did what we needed!